Ryan Callahan, Brian, Boyle, and Anton Stralman were three key pieces for the New York Rangers last season. The swing for all three players to the Tampa Bay Lightning was first set in place on March 5, 2014 when the first captain for captain trade in NHL history was made between the Tampa Bay Lightning and New York Rangers. Marty St. Louis wanted out of Tampa partly because their GM Steve Yzerman left St. Louis off of the initial Team Canada Roster for the Olympics. Meanwhile in New York the rumor was that their captain at the time, Ryan Callahan, was asking for too much money during contract extension negotiations. So there we had it, Marty St. Louis was a New York Ranger, a team he had thought about playing for in the past, and Ryan Callahan was sent to Tampa Bay. Callahan fit right in and really enjoyed his time there in Tampa. St. Louis meanwhile after a slow start was at his best in the playoffs and inspired the New York Rangers with his play during a tough personal time in his life following the passing of his mother during the playoffs. St. Louis was the spark and leader the New York Rangers needed and the team rallied around him and went all the way to the Stanley Cup Final before falling to the Los Angeles Kings in the tightest 5 game series I’ve ever seen. During the Summer of 2014 the NHL had its annual free agency player scramble on July 1st. To the surprise of many Ryan Callahan resigned in Tampa Bay for 6 six years and $34.8 million before even testing the free agency market. 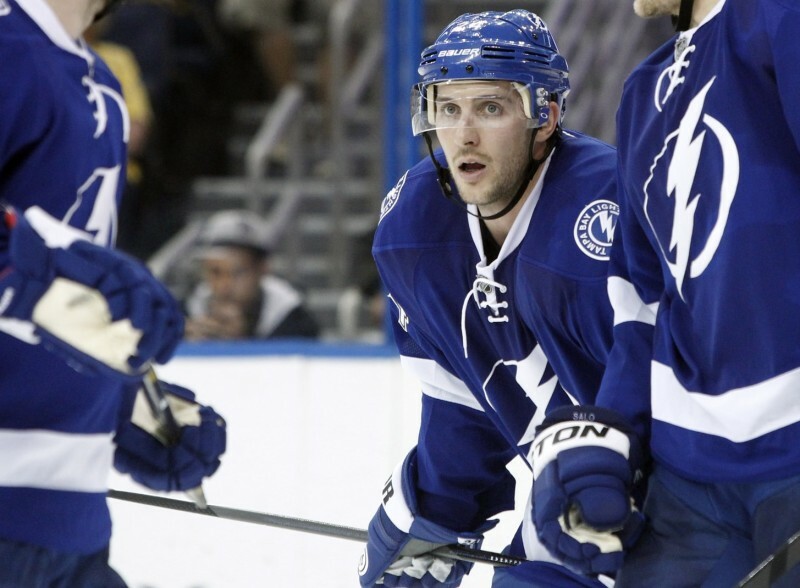 Callahan became a believer in what the Lightning were doing after a short time with the team in 2014. The Rangers that summer had several pieces of their 2014 Eastern Conference Championship Team become free agents. Among that group was Brian Boyle, a 4th line center and key penalty killer for the Rangers, who was very close apparently to signing with the Toronto Maple Leafs. His deciding factor to sign in Tampa Bay was his communication and talks with Callahan, his former captain. Boyle reportedly left more money on the table in Toronto and signed for 3 years and $6 million. “He was telling me about how great the area is and how fun it is, and with the group what to expect,” said Boyle. Anton Stralman was one of the Rangers few unsung heroes of 2013-2014. Stralman played on the Rangers second line defense pairing with Marc Staal all season long and the two developed excellent chemistry together. Stralman, along with Boyle, was a key contributor on the Rangers highly regarded penalty killing unit that was ranked 3rd in the NHL. His contributions to puck possession were immense as Stralman had the best Corsi rating (56.5%) on the Rangers, which shows his value in puck possession when he is on the ice. Stralman was a journeyman player his first 4 seasons and played for Toronto and Columbus before finally establishing his NHL game with the Rangers. 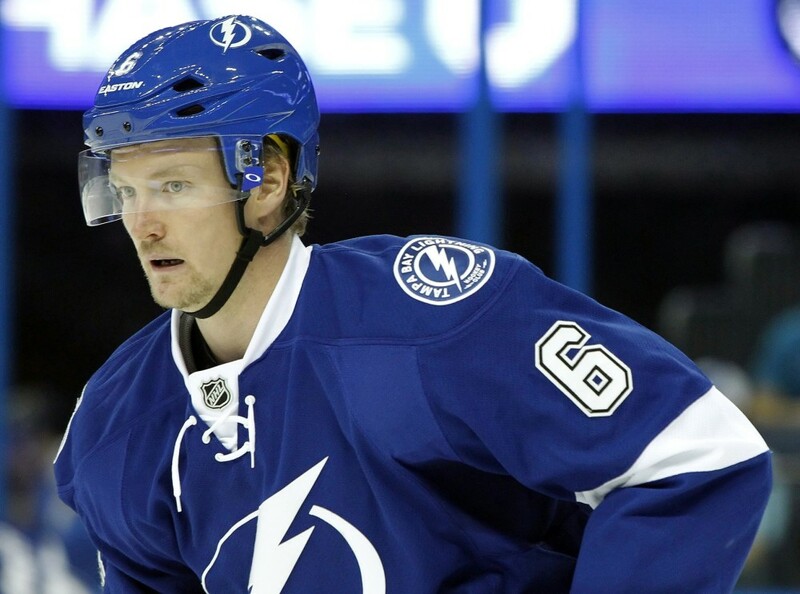 Stralman was rewarded this past summer for his hard work by signing a 5 year, $22.5 million contract. It was stability that he was looking for in his deal and he got it with a 5-year contract. Stralman also said that Callahan was a factor in his decision to sign with Tampa Bay. Stralman also was aware of the improvements the Lightning made last season and really saw himself fitting in nicely to their up tempo system and style of play. “I like the way Tampa plays. It’s always fun games coming in here. They play very offensively. Offensively they come with a lot of people all the time and that’s something that is really attractive to be apart of,” said Stralman. Light ‘Em Up Up Up, Former Rangers! Before going down with an injury to start the season, Callahan was playing on the team’s top line and top special teams units. He is an extremely valuable piece to the puzzle in Tampa Bay because he plays even strength as a top six forward and plays power play and penalty kill. Callahan is a gritty workhorse that skates hard, blocks shots, scores goals and is a good teammate. Tampa is excited to have him back in the lineup because of his leadership and how he always leads by example every shift. Boyle, who was hoping for more even strength time then what he is getting, is still making an impact. However, that could change as Boyle’s line for the time being was promoted from the Tampa Bay 4th line to the 3rd line. Boyle centers a line with veteran Brenden Morrow on his left and young JT Brown on his right. Boyle is also getting work in on the Tampa Bay Penalty Killing top unit. Boyle has scored 3 goals and assisted on 3 others in 12 games this season. The thing about Brian Boyle that all Rangers fans know is that he can be very inconsistent with his play in the regular season and go on stretches where he is not producing. With Boyle though, it does not affect his play when it matters most. Boyle has always been at his best for the Rangers in big games and in the Stanley Cup Playoffs. The bigger the moment, the better Boyle plays. That’s good news for the Lightning. Stralman has seen his game show the biggest improvement this season. Stralman has 9 points in 12 games this season and is a plus 13. He only had 13 points in 81 games all of last season in New York! Are you kidding me? This guy does it all for the Bolts, best signing in the NHL this offseason so far in my book. Stralman has played dominant at even strength, penalty killing, and power play for the Lightning this season. He is getting extra power play time because of the injury to his fellow Swede and defense partner to start the season, Victor Hedman. He is playing with an offensive confidence that was not seen in New York. In New York he was a puck moving, defensive defenseman predominantly. Now he does it all and is probably enjoying every second of it. This season with Tampa Bay Stralman was paired up with Victor Hedman the first few games of the year and will likely be once again in December when Hedman returns to the lineup. Ryan Callahan, Brian Boyle, and Anton Stralman all are fantastic positionally sound penalty killers that fear nothing and will do whatever it takes to get the job done, whether it is blocking a shot or taking a hit. They are relentless with their sticks in the passing lanes. These three are big reasons why the Lightning, who finished 23rd in the NHL in penalty killing last season, currently are 6th in that category in the NHL this season. Look for “Cally”, “Boyler”, and “Stralsy” to continue to make an impact in Tampa Bay all year and for years to come. All three of these players have played in a ton of playoff games for the New York Rangers the last three seasons. The Rangers are the only team in the Eastern Conference to advance out of the 1st round of the playoffs in each of the past three seasons. These players will bring that experience to the Bolts come playoff time and it will be much needed for the team to take that next step.